BleachHouseLibrary.ie: "Last Kiss" by Louise Phillips. Review and Giveaway. 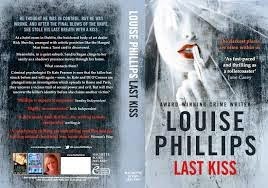 "Last Kiss" by Louise Phillips. Review and Giveaway. A mans body is found in a Dublin hotel room, brutally murdered and posed in an unusual way. The discovery of lipstick on the man's lips suggest he was kissed after death. A last kiss. Meanwhile, Sandra is a woman who is distraught. She believes her husband is cheating on her, has found dodgy links on her home computer and now thinks someone is watching her. Items in the house are being moved, strange smells detected and red lipstick found.
" 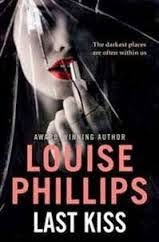 If a child feels loved, they have a better chance than most "
This is Louise Phillips third crime fiction novel and I believe it may be her best. The familiar characters of Dr. Pearson and DI O'Connor are a reassuring duo and the spark between them is alive and well. The narrative is strong. Very strong. A combination of love and hate, desire and disgust, murder and malice. The tension that Sandra feels is so well described that I felt myself wanting to shout " look behind you ", even if there was no mention of any presence. The depth of her hurt on discovering her husbands internet history is also very real. Her friends seem to be offering support, but can she trust them? The investigation into the murder leads the team into unknown territory and is described vividly and without shock tactics. The further they delve into the past of the victim, the more dark doors are opened, bringing the reader on a journey into the unknown. Using the likeable and endearing characters of Kate and O'Connor, Louise makes us feel like we have been with them all along. They work well together, see things very differently and the obvious sexual spark is forever lingering in the background. However, this can be read as a stand alone book as the plot is strong and well able to hold its own. It is a deliciously dark thriller that leaves a bitter aftertaste, like a great dark chocolate or superior claret. The writing is truly spectacular. The chapters fly by and before you know it, you are halfway through. I noticed a subtle notch up in style, pace and depth. I didn't think the author could get much better, but she has surpassed herself. 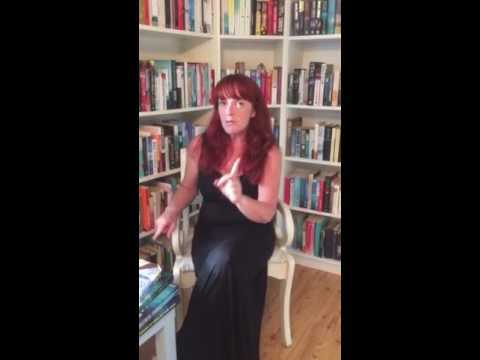 Already an award-winning novelist, this author is set for great, great things and thoroughly deserves them. Top notch crime thriller which deserves its place at the top of bestseller lists, not just in Ireland, but worldwide. I do love Kate in Louise's books! But I also really like Reilly Steel from the Casey Hill books! Too many favourites to choose just one - Inspector Banks, Roy Grace...I could go on! I love Sarah Linton from Karin Slaughter's books, even though she isn't strictly a detective, she does quite a bit of snooping. So long I did not know this author. Would like to read the book! My favourite detective is Sherlock Holmes! Rebus. For old time's sake. Or Tess Monaghan, in second place.